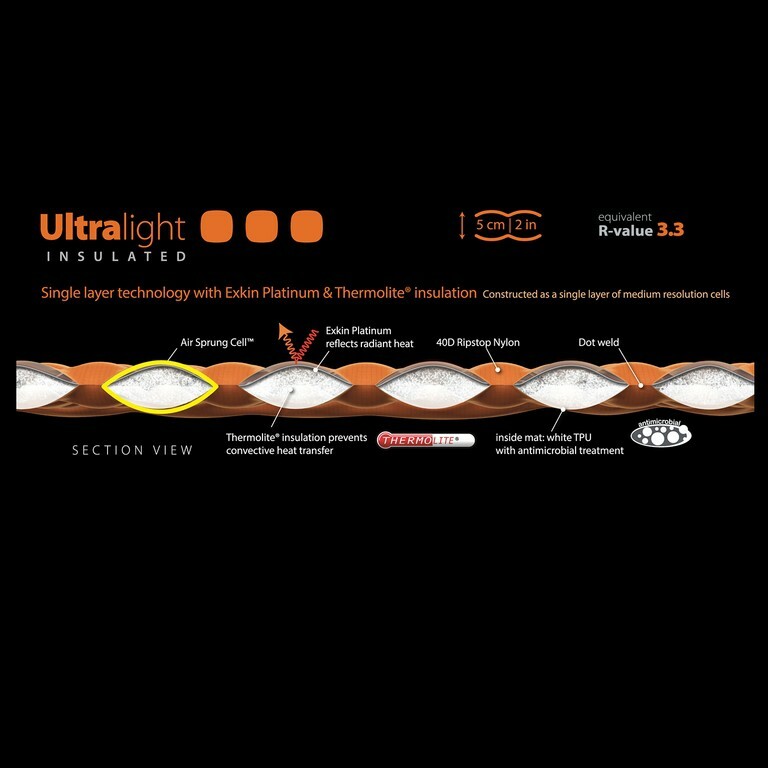 Single Layer technology with Exkin Platinum & Thermolite Insultaion - Equivalent R-Value 2.5. 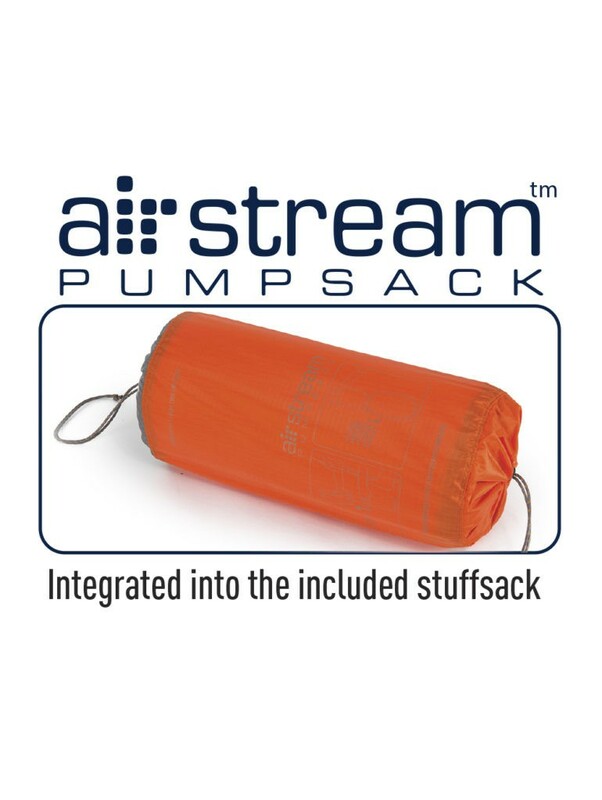 Includes AirStream Pumpsack integrated into the included stuffsack. 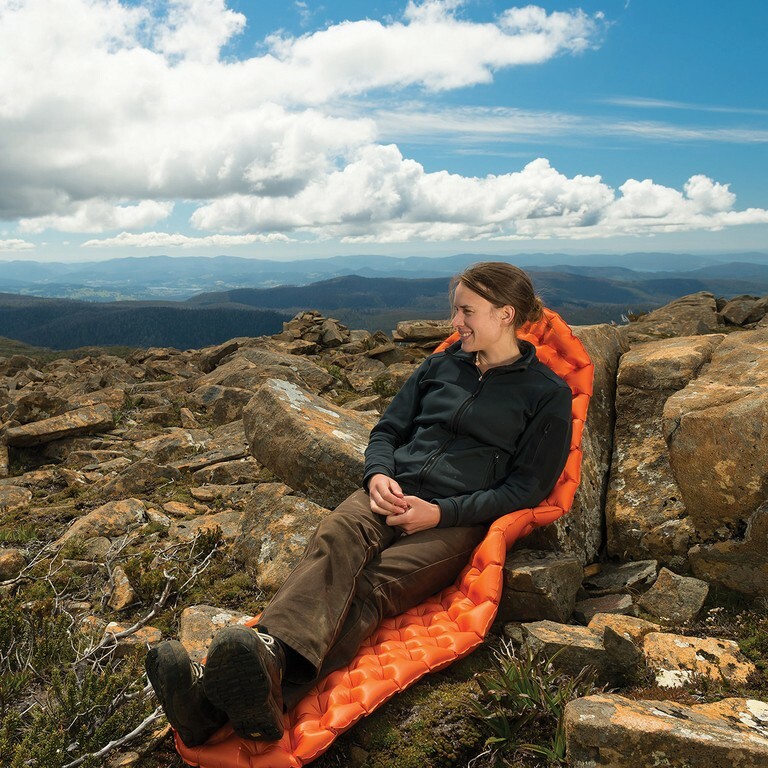 The Ultra Light Insulated sleeping mat has a single layer of medium resolution cells to give you the lightest and smallest pack-volume mattress without compromising on Sea to Summit’s Air Sprung Cell comfort. 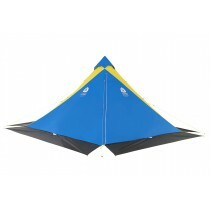 This tapered profile and Single Layer construction minimise weight and bulk. 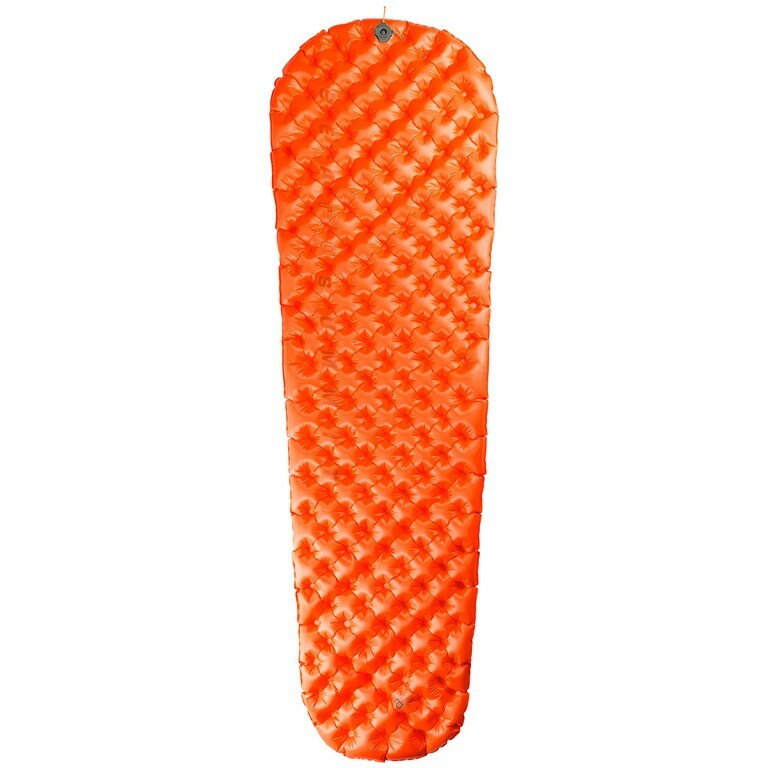 Single Layer construction uses a medium resolution cell matrix to gain sufficient thickness for great cushioning and support on uneven ground. 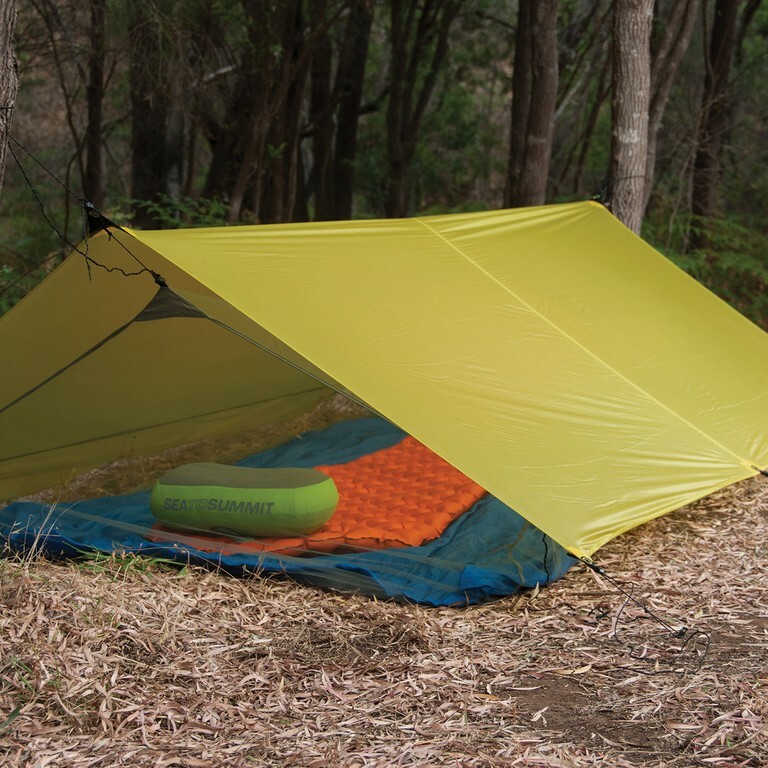 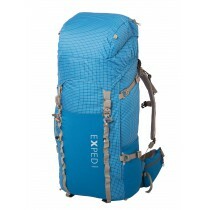 Ultra Light Insultated is available in Small, Regular and Large sizes. 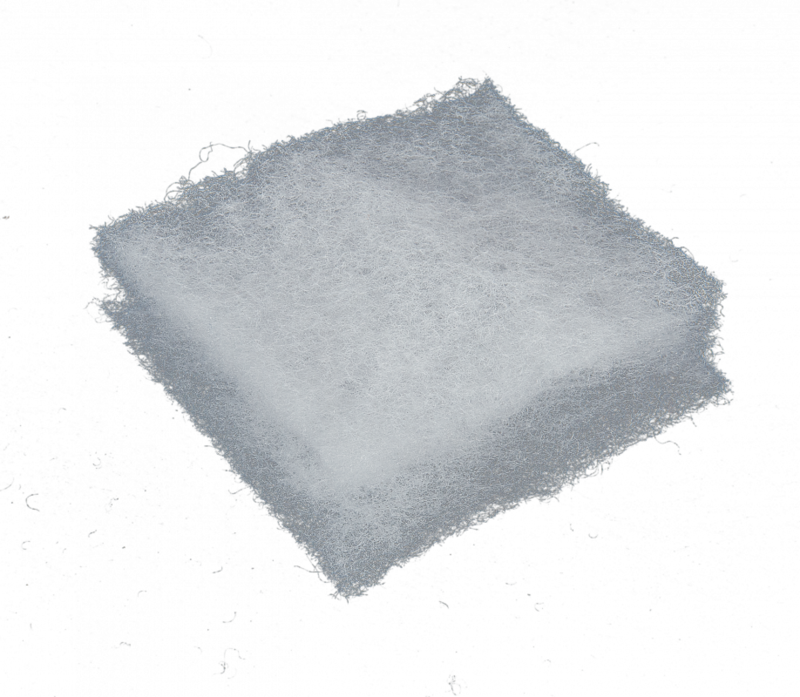 Themolite insulation prevents convective heat transfer. 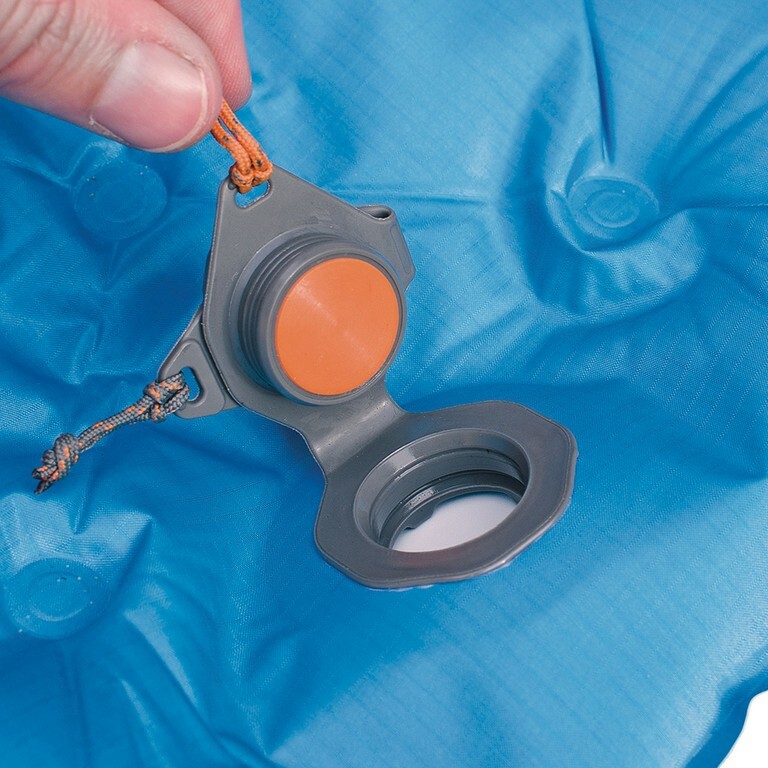 The valve integrates an inflate port with a one-way valve to prevent air loss before you seal the valve, a rapid air dump deflate port, and a fine tune button to adjust for comfort, in one compact, low profile unit. 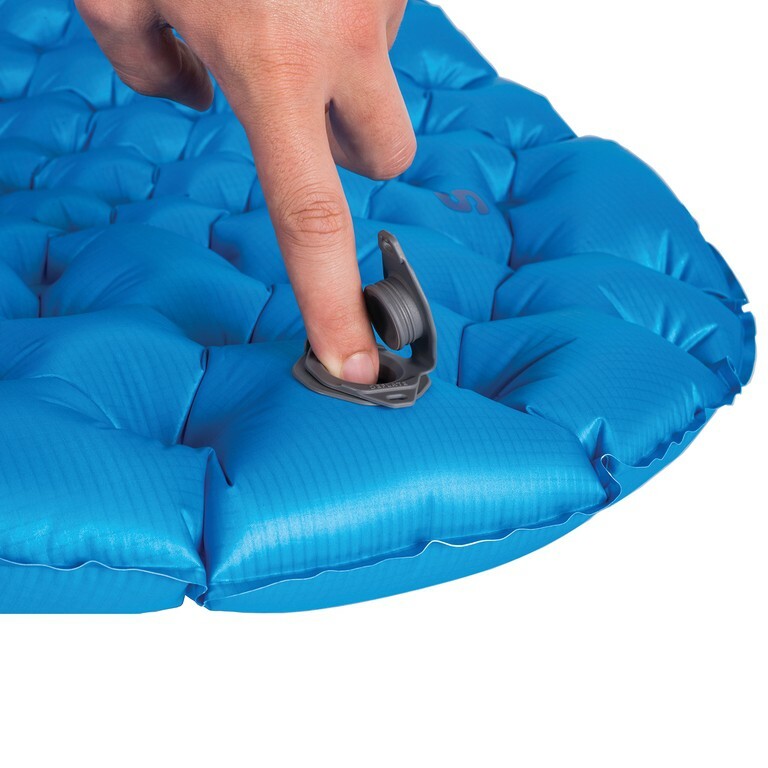 Inflate and deflate pull tabs are tactile and colour coded for easy identification. 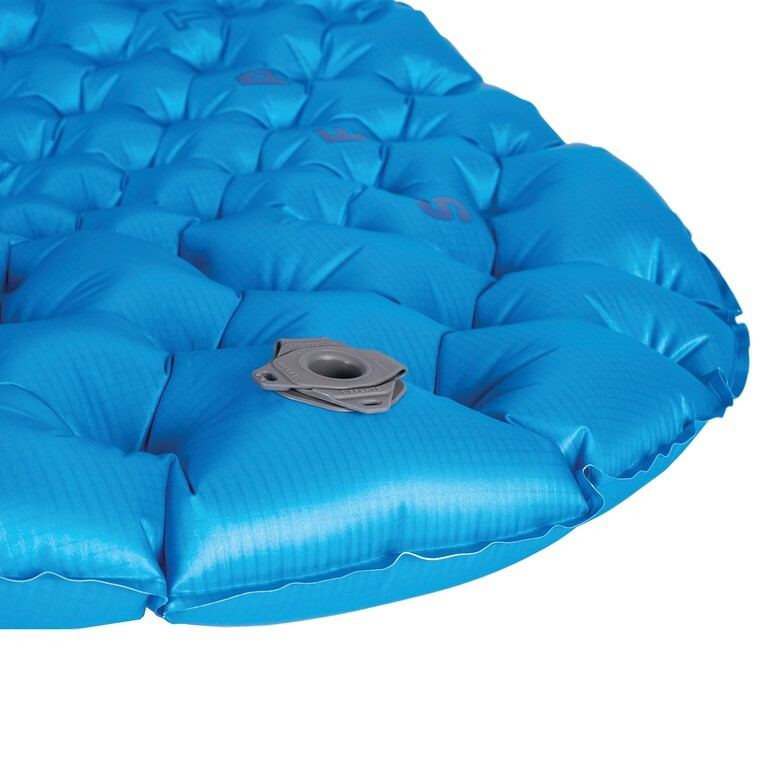 Includes AirStream Pumpsack integrated into the included stuffsack. 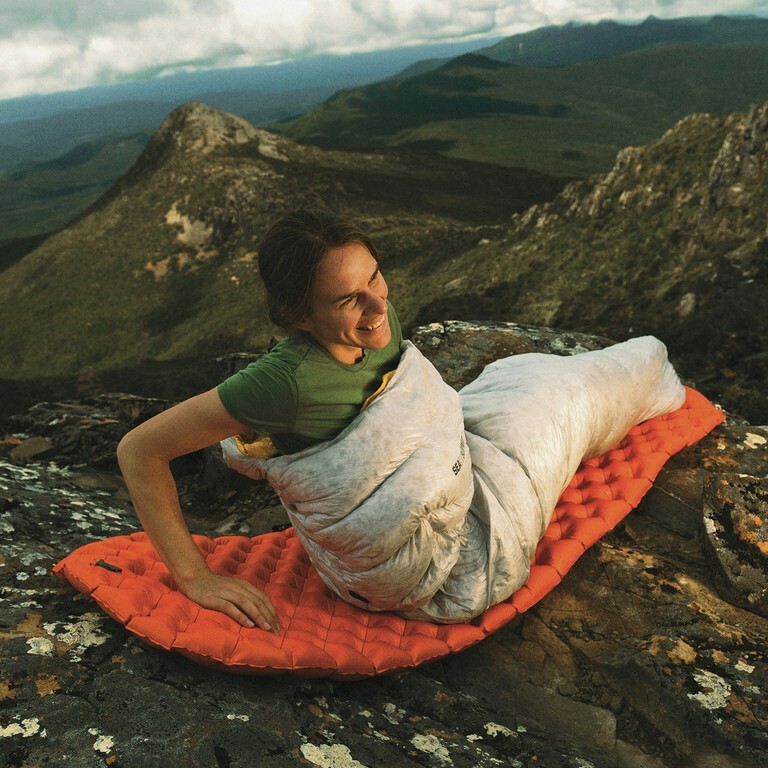 Mat comes with a quality stuff sack. 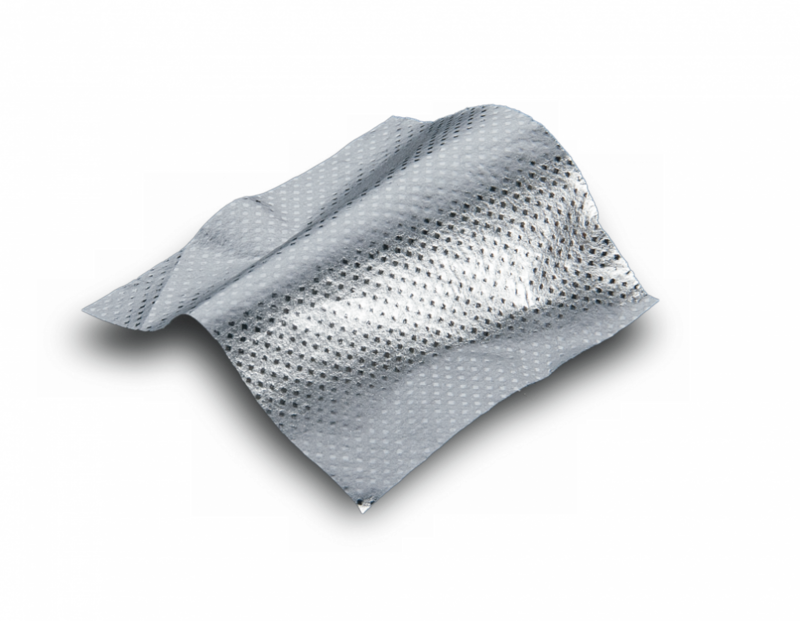 Also included a small repair kit containing six self adhesive patches for repairing punctures in the eld, and a spare silicone one-way valve flap.